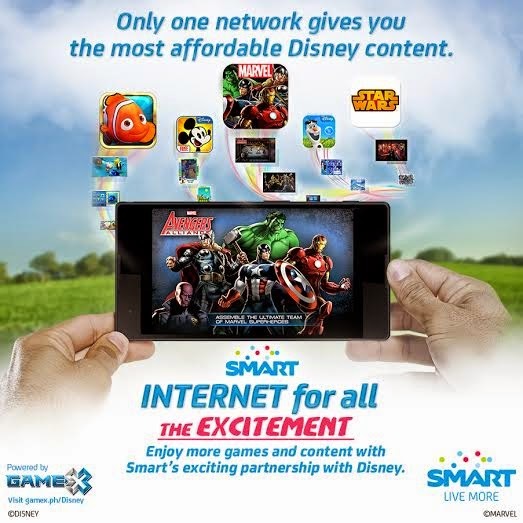 SMART Announces Exclusive Partnership With Disney! This one's a bit personal. I love my name, it's not too common, it's not too weird. I was named after a saint (since it was required a long time ago) and after a cartoon character. Who do you say? Yes! You are correct, I was named after Mickey Mouse. Consequently, "Michael" was a more appropriate name so they stayed with that; but the origin wasn't the saint too as I thought it would be. It's cute, I know, when my Mom told me about it I almost coughed out the hot coffee I was having that afternoon, but I figured why I was so fond of Disney even at a very young age. My brother got to love Donald Duck so we were like them years ago. Yes, we used to chase play tricks on each other as if we were cartoon characters, it was that close. Later on, Marvel was pretty popular and we got to play games in arcades, cards, and just about any merchandise they had on their coffers, we got it! But now, it's all about our phones and the hundreds of games available in it. You might think it's going to be expensive, but you haven't seen anything yet. Take my advice because I just discovered that the biggest network SMART Communications Inc. has got us hooked up with the latest Disney, Pixar, Marvel and Lucasfilm titles. Oh yes! 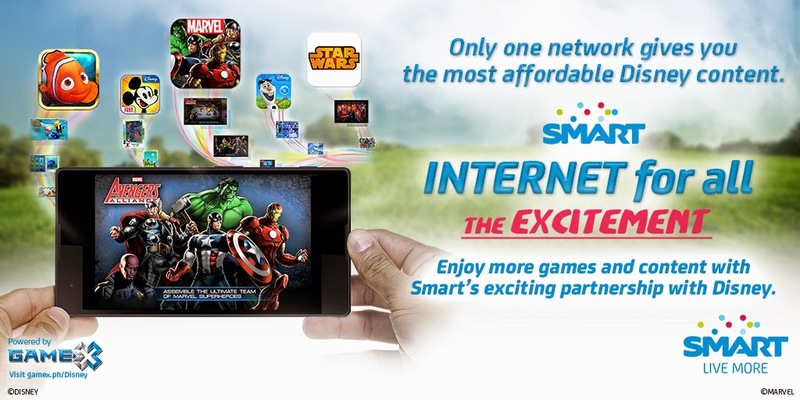 This is an EXCLUSIVE partnership with Smart Communications which means you can now get your favorite E-Books, Online Games, Activities and Wallpapers without the need to use a credit card. Check out the Disney content they are offering on the Smart Disney Page and see how you can enjoy Frozen, Big Hero 6, The Avengers, Star Wars and many more! Finally, we can all have this generation fall in love with Disney all over again! Thanks to SMART!